Welcome to my IBOsocial profile page! 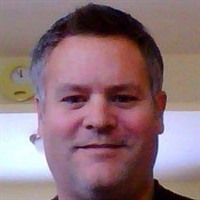 I appreciate you taking the time to learn more about me and my business TheHomeBizWizz.com where I teach people how to build a home-based business as an affiliate marketer by joining the best affiliate marketing training platform available anywhere Wealthy Affiliate. I have been a member here at IBOtoolbox since 2012 and I wish I could tell you that I have been a huge success and that I did everything right, LOL, but that is not my story! It wasn't until I joined Wealthy Affiliate in January of 2018 that a light went off and something finally clicked, I had a moment of clarity that helped me realize that I had been doing this whole affiliate marketing/work from home thing all wrong. I was always looking for shortcuts, get rich quick schemes and wiz-bang software apps that would make me an internet guru overnight! This never happened and I went further & further in debt! You see, I knew that real affiliate marketers were making good money online and they were doing it honestly and ethically. THAT's what I wanted! A real business that I could be proud of! What I found at Wealthy Affiliate was that honest & ethical business that I was after. I met a ton of people that gave it to me straight that if I was interested in a "get rich quick" deal then we are not for you but if you are willing to do the work we will show you how. They told me that if I wanted what they had I needed to do what they did! That made sense to me and on that day I decided to put my old ideas aside and follow the suggestions of others. It took some time to go through the training and at times I wanted to give up but the community at Wealthy Affiliate helped me work through my difficulties and then one day I got my first affiliate commission, then another and another and you get the idea to where now I am on track to CRUSH it in 2019 and beyond! I never thought it would be possible that I would have multiple 4 figure months under my belt within a year! Someone, please pinch me! For my business, less is definitely more and that is what I teach my Wealthy Affiliate sign-ups. Sign up at Wealthy Affiliate with me and I will personally help you get your business set up & running and it won't end there! You will have access to me via pm or email. Wealthy Affiliate is free to join. As a Free Starter Member, you will get two free WordPress websites and hosting for free for life as well as access to the Jaaxy Keyword Tool, in my opinion, the best keyword tool available anywhere. You will have access to 10 modules of the training as well as many other cool tools and access to the community. As a free member, you can also earn from their affiliate program! That is a rarity to allow free members access to a lucrative affiliate program! Of course, there is a Premium Membership which I am a member. You will learn more about that as a Free Starter Member. To learn more about me and any of the products mentioned above please follow the links or visit my website TheHomeBizWizz My site is on the newer side and I plan on adding regular posts on a regular basis and oh yeah, I also promote IBOtoolbox! I love the community, the tools, and the comradery here! IBO & Wealthy Affiliate complement each other quite well!